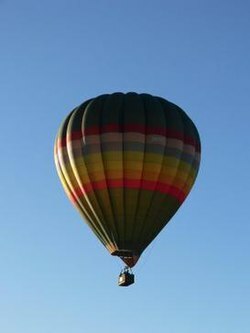 1785 Frenchman Jean-Pierre Blanchard and American John Jeffriestravelled from Dover, to Calais, in a gas balloon. 1785 Frenchman Jean-Pierre Blanchard and American John Jeffries travelled from Dover, to Calais, in a gas balloon. 1931 Australian Guy Menzies completed the first Trans-Tasman flight when he flew from Sydneyand crash-landed in a swamp at Harihari on the West Coast. 1954 Georgetown-IBM experiment: the first public demonstration of a machine translation system, was held in New York at the head office of IBM. 1993 The Fourth Republic of Ghana was inaugurated with Jerry Rawlings as President. 1895 Sir Hudson Fysh, Australian aviator and co-founder of QANTAS, was born (d. 1974). 1925 Gerald Durrell, British naturalist , was born (d. 1995).